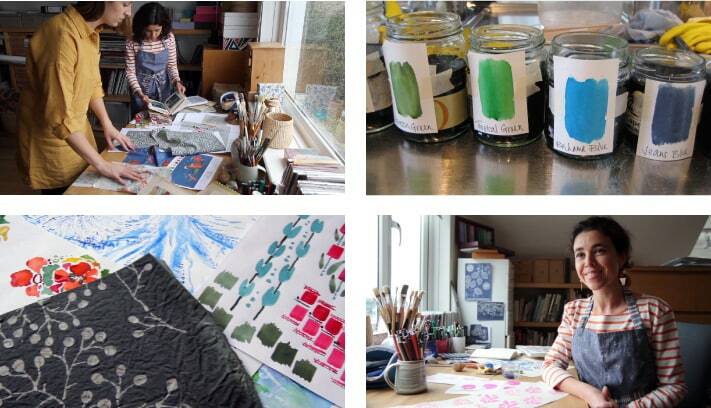 Sophie and her textile design team always delight us each season with an array of beautiful new prints inspired by Cornwall. Seasalt prints have a wonderful handcrafted look and each one is unique to us, you won’t find them anywhere else! The flora and fauna found all around Cornwall provides a constant source of inspiration – you’ll often find pretty foliage, anemones, leaves and seed heads within our prints. With our design studio overlooking Falmouth Bay, we also find ourselves constantly sketching the sailing boats. And the Falmouth Working Boats racing, with their distinctive, brightly coloured topsails, are a wonderful sight! 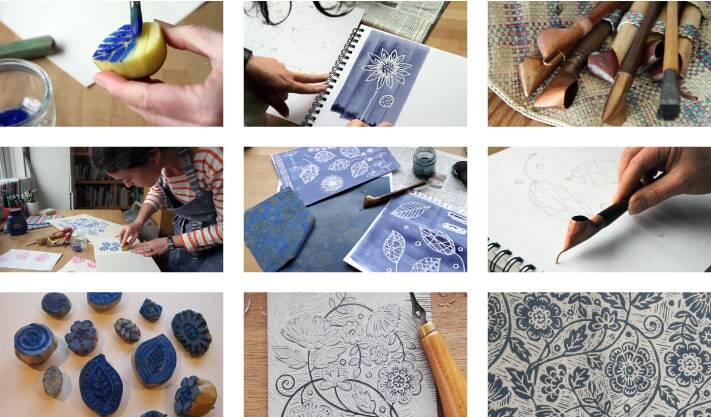 The process usually starts with block printing, batik, painting or sketching. Once a successful design is reached the team then work on scale, repeat and colours. We dye swatches to find the perfect palette each season. 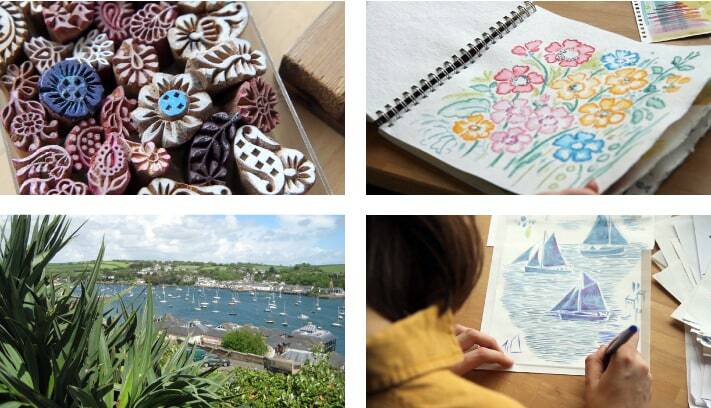 Sophie often uses a tjanting to draw with hot wax, a brilliant way to create simple and effective motifs. Carving shapes into lino blocks or even potatoes for printing is also a useful method, and always creates that lovely handmade feel we’re after.